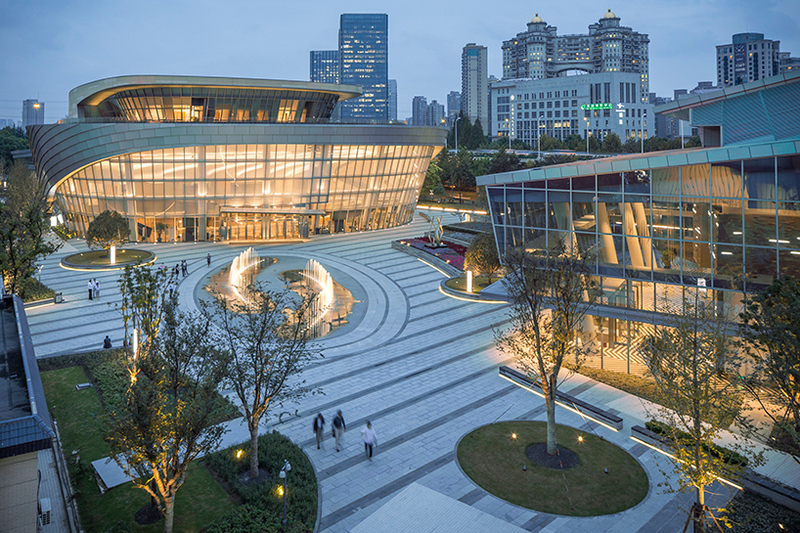 STUDIOS architecture has completed its design for the shanghai international dance complex. 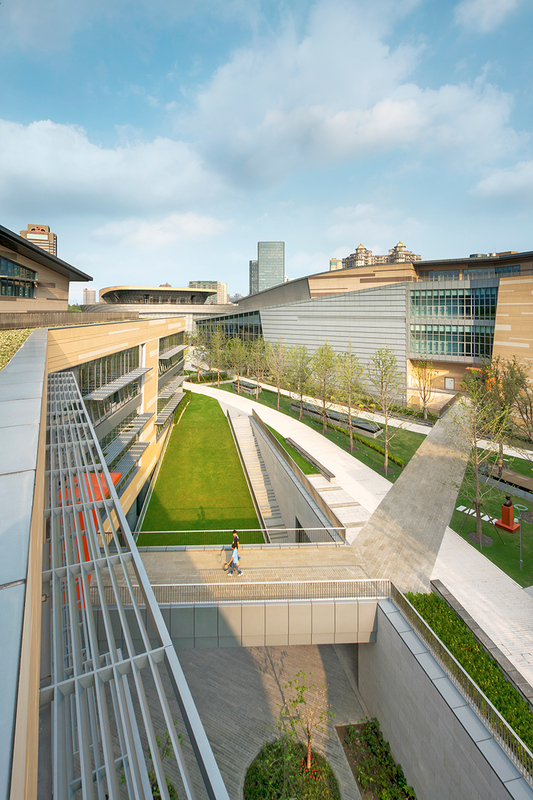 the 970,000 square foot campus includes a theater, recital hall, a dance school, and the shanghai ballet’s and dance troupe’s headquarters and rehearsal studios. 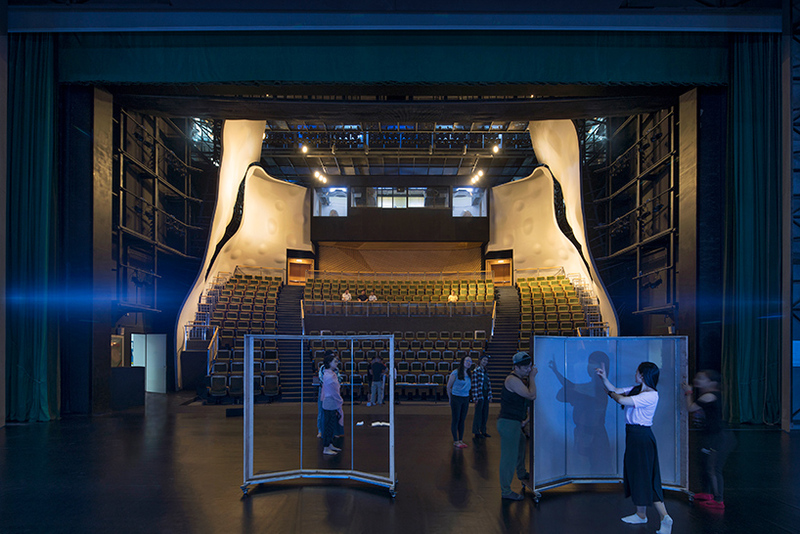 STUDIOS’ design, inspired by the spirit of dance, was selected among six international architectural firms. 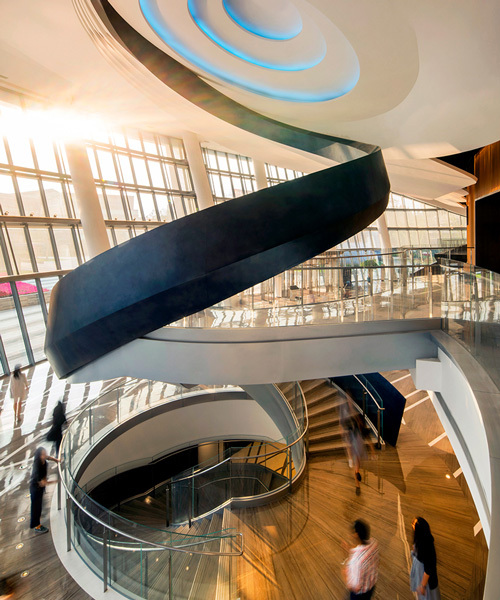 the complex is characterized by an interplay between gently curving buildings, thoughtfully choreographed to create a sense of flow and kinetic energy. 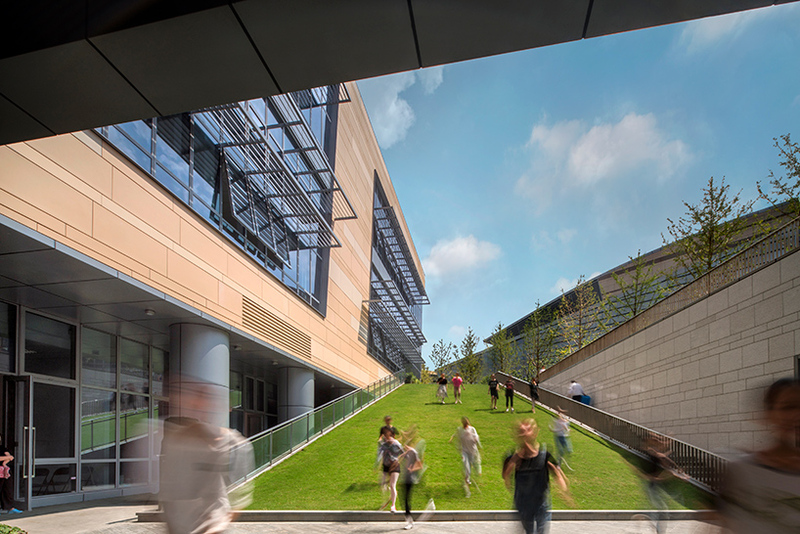 almost half of the program is situated below ground, creating generous open spaces and courtyards. 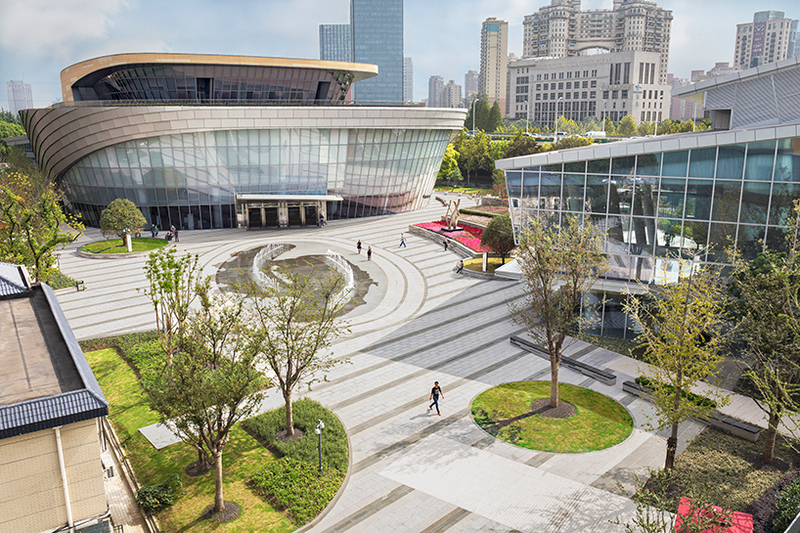 curving paths, fountains and rows of trees lead towards an open central plaza. 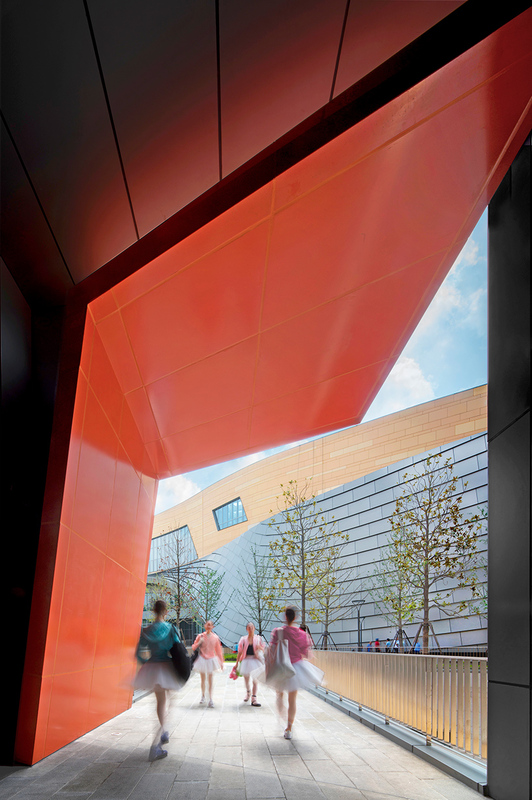 wells along the building perimeters feed daylight and fresh air into the underground areas, such as the rehearsal studios, dining, a gymnasium and support spaces. 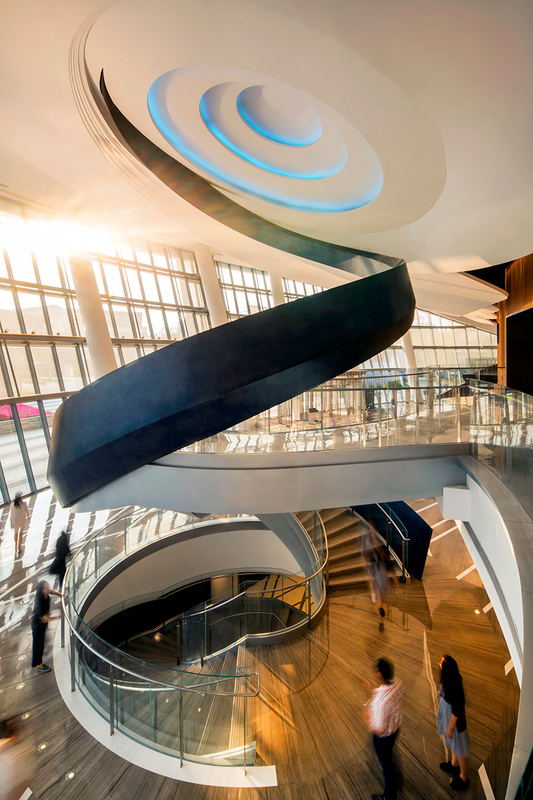 the building will attain a 3-star environmental rating, which is the highest possible in the chinese system (similar to LEED). 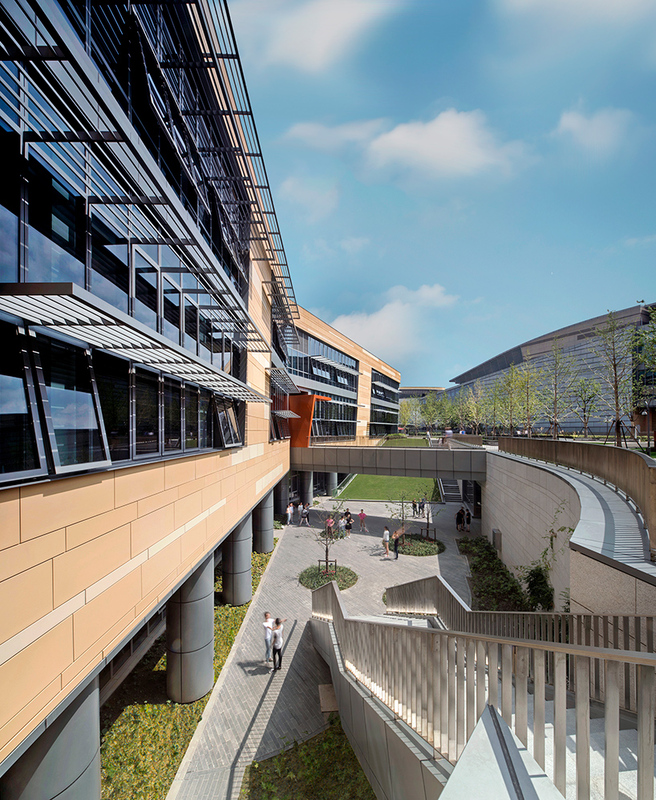 sustainable features include natural ventilation, high-performance building skins, and cool roofs to help reduce energy requirements. the main material, terra cotta, was locally manufactured. 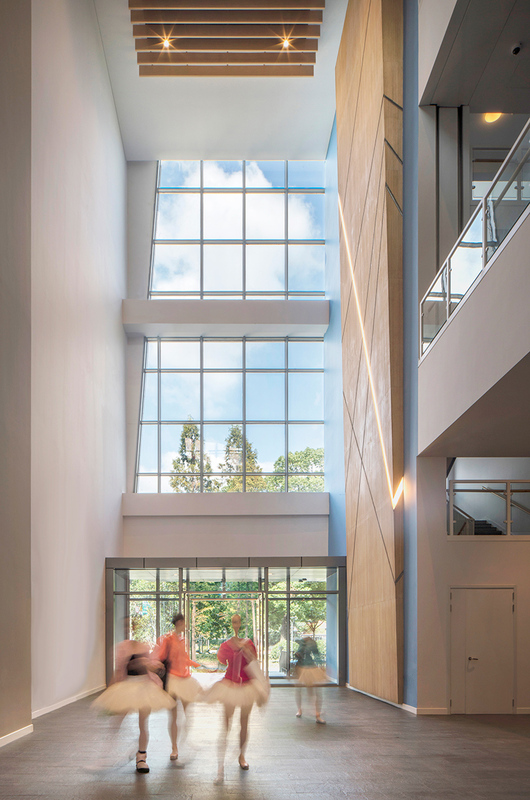 the theater building also features rooftop photovoltaic panels. 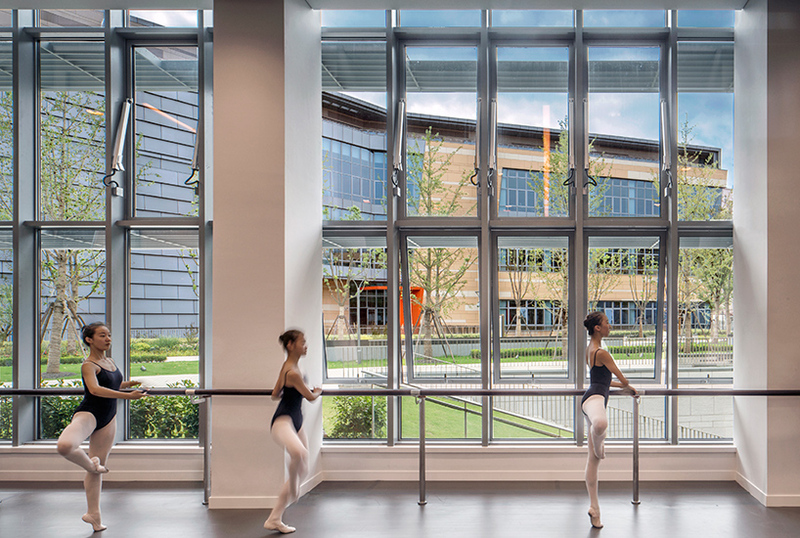 as a world-class facility whose mission is to promote and teach the art of dance, the dynamic campus will serve as a new center for exchange with experts from around the world. 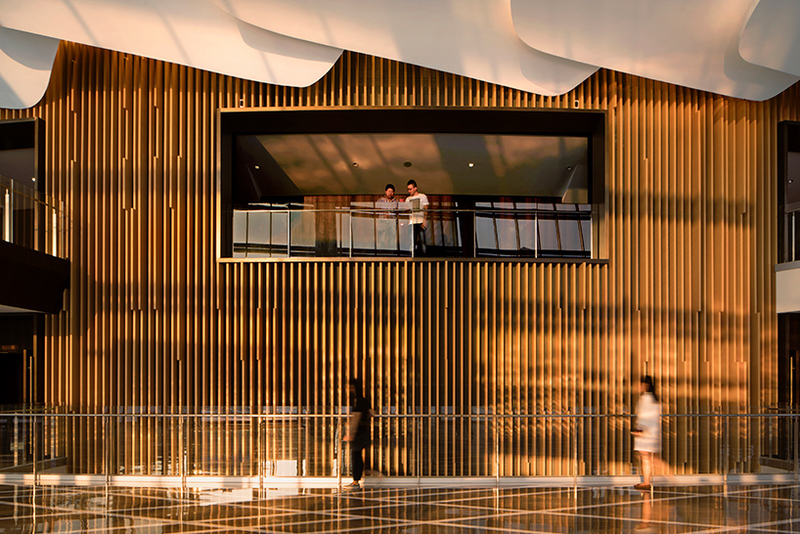 designed towards an international standard, the architects combined high-efficiency with thoughtful design strategies to create an energetic cultural hub. 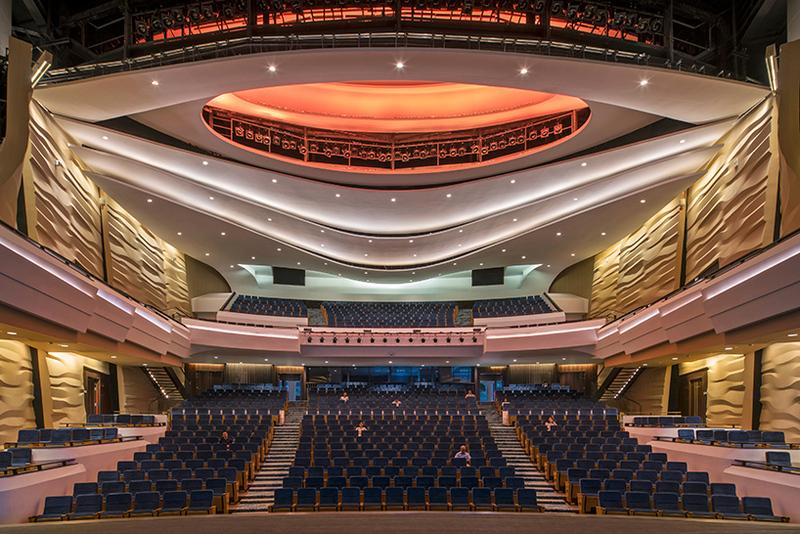 theater consultant: the shalleck collaborative inc.
local design consultants: CT design consultants, ltd.
local design consultants: WK consultants, ltd.
local design institute: shanghai construction design & research institute co. ltd.
general contractor: shanghai construction no. 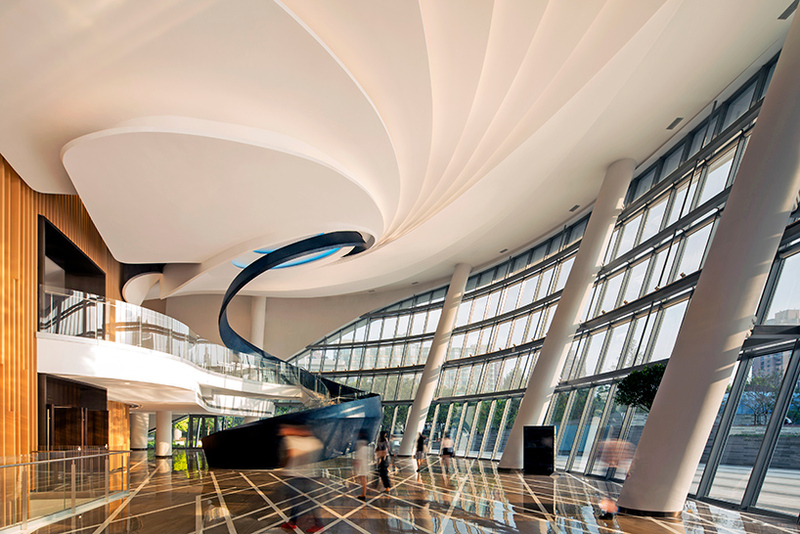 4 (group) co., ltd.
curtain wall contractor: shanghai sunvast curtain wall decoration eng. 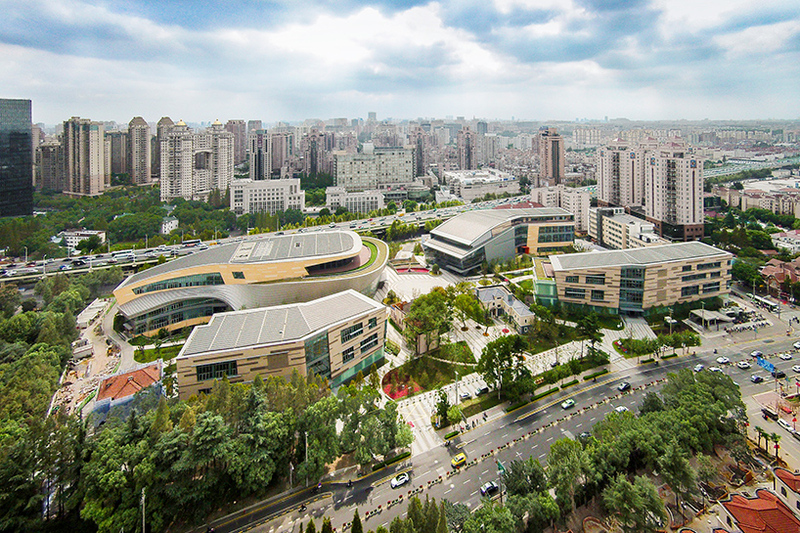 co. ltd.
department: shanghai international dance center engineering co. ltd.
represented by: shanghai international tendering co., ltd.
aerial view courtesy of sunvast, ltd.